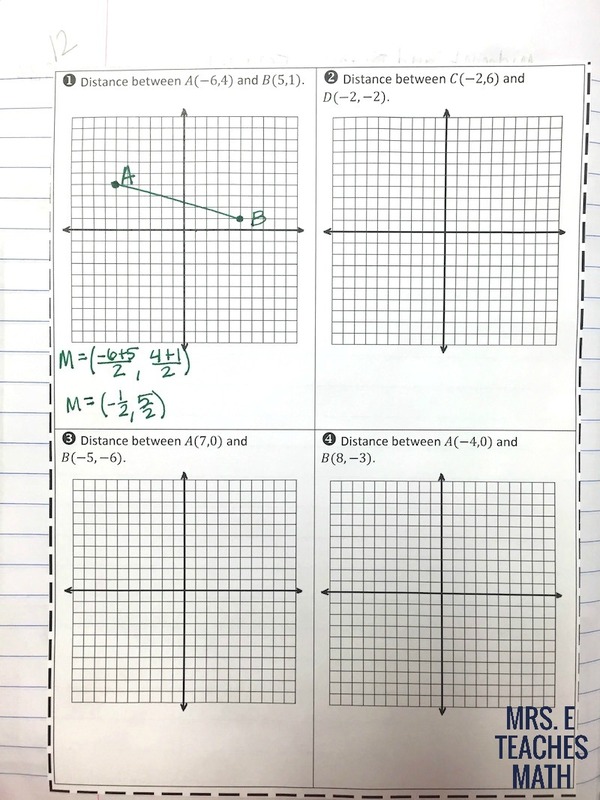 This is part two of my first unit for Geometry. You can read about the beginning of the unit here. 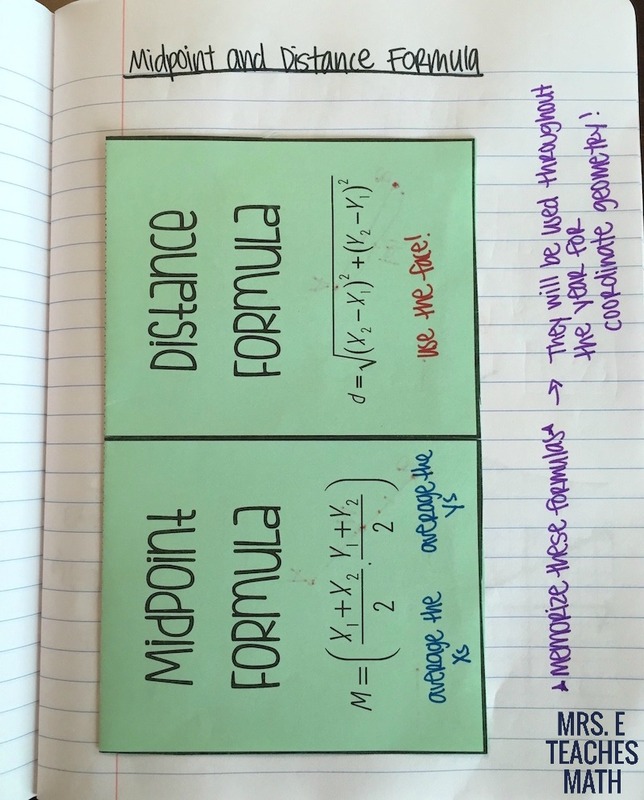 After a short vocab quiz, we did my midpoint and distance formula foldable. 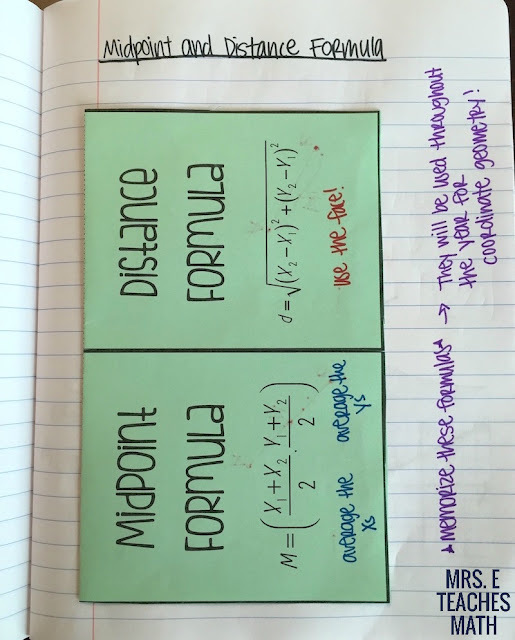 I used the same little story to help kids remember the distance formula that I’ve used in the past. I did emphasize more this year that the midpoint formula is just the average between the two points. Once we did the foldable, I had students glue in a practice page. The problems on the page only say to find the distance, but I had my students also find the midpoint. 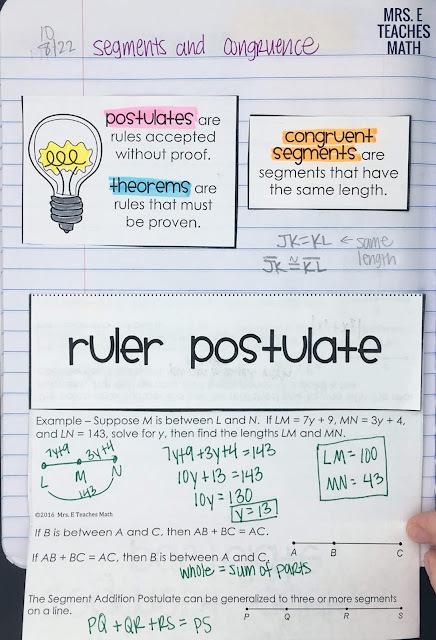 Next year, I think I want to include a problem on this page where students are given the midpoint and have to find the endpoint. Stay tuned for the last part of my first unit!